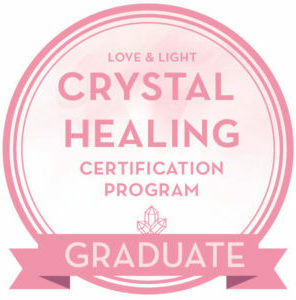 Sessions for distance healing with crystals are approximately 1 hour long. They include an aura cleanse and intuitive body scan unless stated otherwise. A guided meditation is also included if you attend your session via video call. You Decide It @ $40 / R400: if you want to focus on a specific issue, let’s address it and allow me to send some healing to you with my intuitively chosen crystal colleagues. This can be anything from wanting to feel more relaxed, wanting to be more grounded or feeling more connected. If you want healing but you’re unsure of what you want to achieve, let’s chat about it! Chakra Balancing @ $40 / R400: This is a full Chakra healing session. I assess your 7 main chakras and whether they are over-active, under-active or in balance. Once assessed, I use intuitively chosen crystals to balance or energise your chakras. Mini Chakra Balancing @ $30 / R300 (45 minutes): I cast crystals onto a body diagram to determine which Chakras need attention and healing right now. Those Chakras and/or areas are the focus points of the session. This session does not include an aura cleanse nor body scan. Emotional Balancing @ $40 / R400: If you are a feeling a little out of whack and like everything is just too much right now, we can look at getting you more in balance with an Emotional Balancing session. This involves a invigorating Carnelian “bath” with carnelian crystals to balance negative emotions. I recommend that you attend the session via Skype video call for the best results. Past Self in this Lifetime Healing @ $40 / R400: We have all gone through times that we are not proud of, where we didn’t exactly like who we were in our past. Let me help share more love with yourself by merging that past self with your current self in a loving bubble with Rose Quartz crystals. I recommend that you attend the session via Skype video call for the best results. On a date and time that suits you. This is perfect for you if you don’t feel comfortable participating in a video call or have reliable internet connectivity. I notify you when I start the session and you can relax in your own space. Once finished, I shall email you any insights I receive as well as a photo of the layout I’ve done. All I require is a photo of you. Sessions can also take place via Skype Video Call by arrangement. You can make yourself available for your session to watch and enjoy the experience this way. Skype is available for all desktop computers as well as Android and iPhone devices. I’ve written an in-depth post about distance healing with crystals regarding what distance healing is, how crystals assist, the basic procedure of a session and what to expect after a session. Go ahead and take a read if you want more information. If you’d like to book a session, click the button below and let’s chat about investing in yourself today.